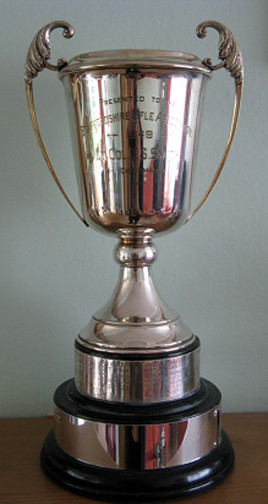 Presented to the Association in 1998. Awarded to the Top Shooter in Classes 'C', 'D' or 'Junior' Aggregate comprising 80 shots at the Staffordshire Combined Rifle Meeting. 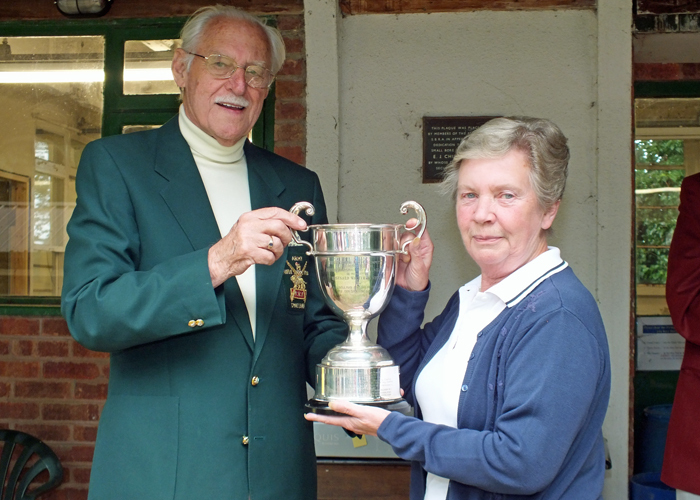 The above photograph shows SSRA President - Major (Retired) Peter Martin MBE, pictured left - presenting the R.W. 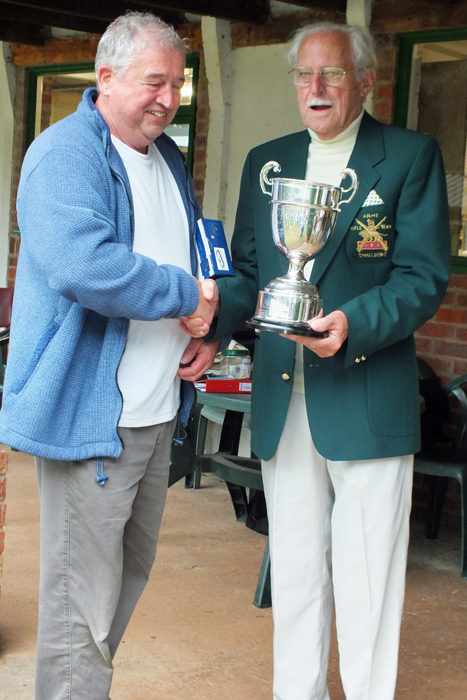 De Nicolas Memorial Trophy to Mike Willcox, pictured right. The above photograph shows Mary Jennings, pictured left, presenting the R.W. 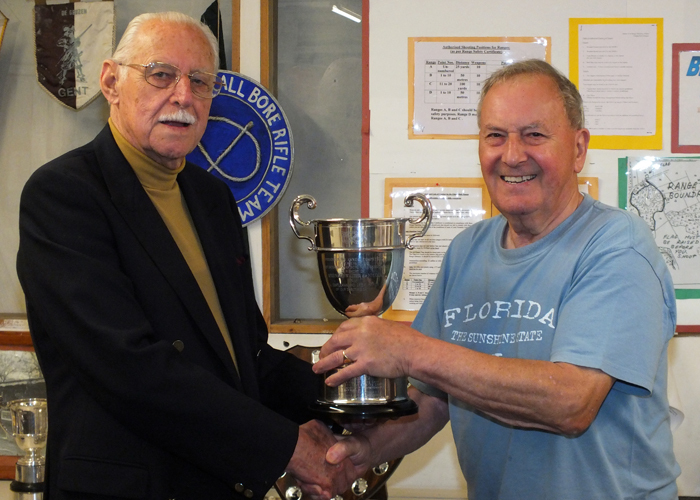 De Nicolas Memorial Trophy to Stuart Powell, pictured right. The above photograph shows Mrs. M. Bayley, pictured right, receiving The R.W. 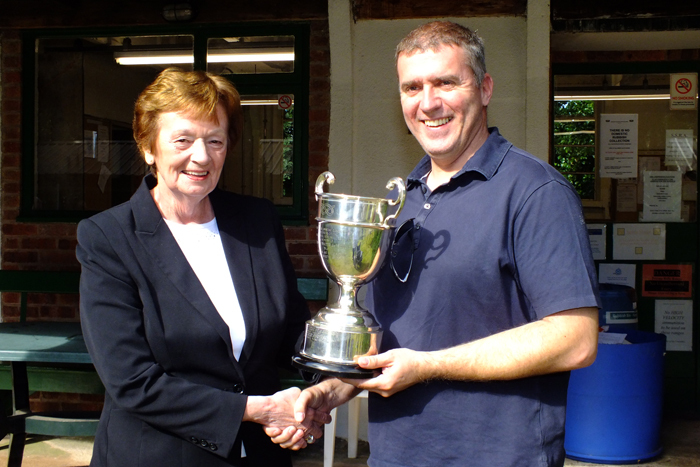 De Nicolas Memorial Trophy for 2014 from SSRA President - Major (Retired) Peter Martin, MBE. The above photograph shows J. Wilshaw, pictured left, receiving The R.W. 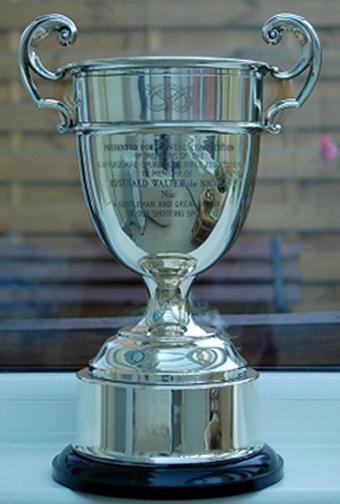 De Nicolas Memorial Trophy for 2013 from SSRA President - Major (Retired) Peter Martin, MBE.